All tea starts off green. Green tea stays green because its leaves are shielded from oxidation during its crafting, with the result that the chemical composition of the dry leaves is very close to that of newly picked leaves which have been simply left to wilt naturally. Chinese green teas are wok-fired, whilst in Japan they are steamed in a process called ‘fixing’. This is simply the application of heat to kill the naturally occuring enzymes in the leaf that would otherwise enable oxidation. 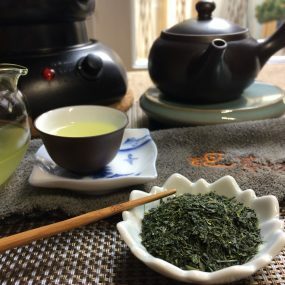 The liquor of green tea is clean, subtle, fresh and vibrant, and there is no better way to refresh and rejuvenate yourself during the day than to enjoy a cup of naturally sweet, antioxidant-rich green tea. 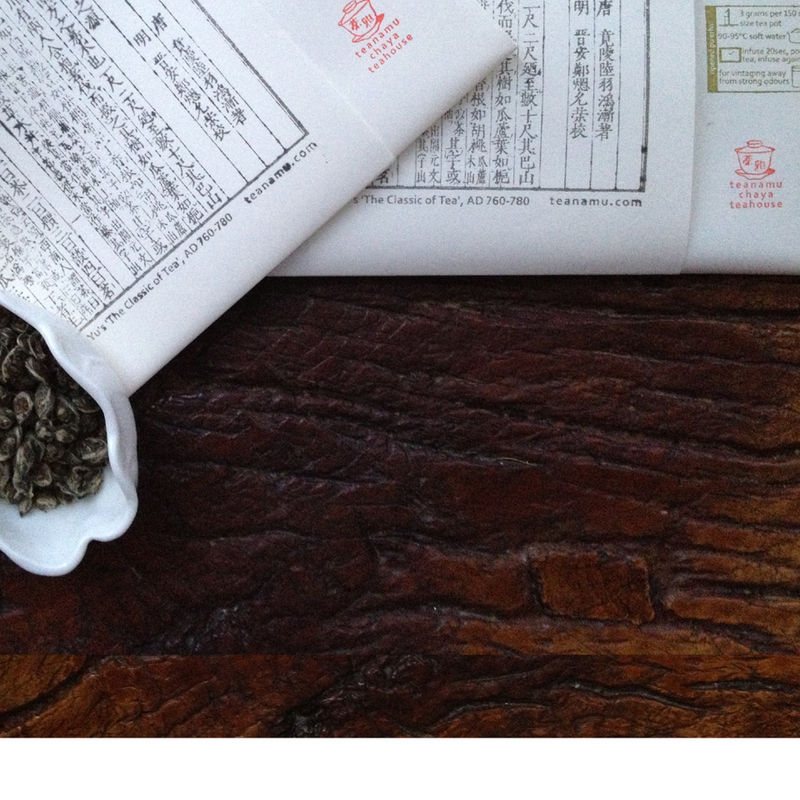 Japanese green teas are renowned for their umami sweetness, suggestive of the ocean and refreshing spring greens. Along with an abundance of other fresh, clean and complex flavours, this sweetness, not sugary at all but subtle and leady, is really pronounced, especially on second and third tasting. Umami sweetness is apparent at different intensities depending on the tea, and is directly related to how the tea was cultivated and processed. Some higher grades undergo weeks of under-shade (open-air) cultivation, which inhibits astringent (bitter) tannin formation and promotes theanine, the amino acid which we experience as umami. It is a testament to the extraordinary care applied in the making of Japanese green tea, to see huge screens of rice straw or synthetic netting erected to cover entire tea fields, then dismantled after two or three weeks to once again allow direct sunlight on to the young, vitamin-rich tea plants. Steaming is the archetypal Japanese tea-manufacture process. It serves to fix the vivid, dark, emerald colour of the leaf and preserve the natural enzymes packed with flavour. Standard steaming last for less than a minute, while deep steaming imparts a deeper colour and stronger flavour. With flavours ranging from sweet to creamy, toasty or nutty, the finest Chinese green teas come from the country’s eastern and south-eastern regions, and the most prized are those harvested in early spring. The lighter, sweeter and smoother the green tea, the higher the grade. The finishing method contributes to the tea’s unique appearance, aroma, and taste. Each region possesses its own traditional styles of tea making, though even within a region there are variations between villages and producers.